Why did my Clear Coat turned out Matte instead of Glossy? You want to keep your car looking as sharp as possible, and it is not just because of vanity reasons. In fact, the preservation of the car will determine how slow or fast it reduces its value (just in case you decide to resell it at some point). It makes sense that you would want to preserve its value since you spent a lot of your hard-earned money to buy it; you would not want it to look like it passed through some monstrous tornado. It also assists in creating a positive impression, like when you are picking someone for a date. However, most people become intimidated by the idea of doing their paintwork – mainly because bad paint scares them off. However, the good news is that the problem is easy to fix. Worse still, is when you are deep into the paint job, only to realize your finished work looks like matte instead of the glossy result you imagined in your mind. Before you start correcting the mistake though, there are a few things you need to know about the paint on your car. 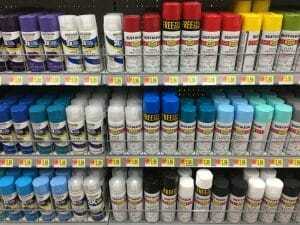 What are the types of paint? From the beginning of the mass manufacture of cars until the 1980s, car manufacturers were applying a single coat of paint in a single stage. This left the car surface fragile, thin, and highly vulnerable to oxidation. In the 1980s until the present, things however changed, as they began to apply paint in a two-stage system (applying a base coat, then a clear coat on top). While this made cars last longer, they have a significant drawback – they can deteriorate easily if you do not care for them properly. Unless you have a car that is really old and more than 40 years old, then chances are your car has a two-point job. Why does paint go bad? You know that feeling of getting a new car – so shiny and pleasing to the eye, and you want to drive around the town in excitement because of your shiny new tool. However, you do not realize that the sun’s rays are already beginning to wreck havo0c on the beautiful paint job. This is because of UV radiation, and it results in greater harm to your paint job in a shorter time than you know. If you have the idea of parking your car in the blazing sun, the paint goes through adverse chemical reactions. Combine that with pollutants in the environment, and the paint begins to chip off. With time, when you neglect to take care of the car, oxidation begins to happen – that is when you begin to see ugly blotches on the surface. 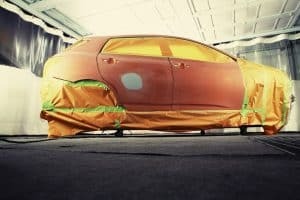 Using a car cover and washing the car regularly prevents this from happening, and the cover will also prevent dust from entering – one of the major reasons why premature wear and tear happens to the internal components. What about the car paint turning matte? There are two varieties of the problem here – the paint becoming matte after some weeks or months, then the other is immediately after the paint job. The thickness of the clear coat is not enough – if you apply the coat in very thin layers of less than 50 microns or 2 mils, then that will not give your car enough protection. In fact, car manufacturers will tell you that if the clear coat is removed by more than 25%, they cannot guarantee that the car will be protected from UV rays. The similar rule will apply to the refinish stages – if the spray clear coat is less than 41 microns, the protection is insufficient. The quality of the clear coat paint is poor – as well as lack of UV absorbers in the chemical ingredients. The air supply line has moisture – this is among the most frequent reasons. In fact, water or moisture content that is greater than 3% is bad for the system. This is because water interferes with the chemical process that leads to the setting of the paint on the car surface, leading to matting. Water can increase because of poor filtration and drainage in the air-line system and overworking of the compressor that increases humidity. The paint might have mixed with the hardener in the wrong ratio – the quality, quantity, and compatibility of the hardener will ultimately determine the end result; so ensure the hardener is legitimate if you want a good paint job. The hardener issues include using the wrong mix ratio (when in doubt, use mixing and measuring cups), the hardener is too old, the viscosities of the hardener and clear coat are different, and the hardener is too fast. There is some ambient humidity – once you finish painting, the car must remain in a dry area. If placed in an area with high humidity, the clear coat will chip off due to the chemical reaction between the moisture in the air and the hardener. In addition, the hardener must be tightly sealed immediately after us to prevent reacting with the humidity. The flash-off time is too short – you need to have a sufficient time frame between application of the base coat and the clear coat, especially when you are using waterborne paint. You applied a basecoat, but it is too thick – this causes the solvent to remain trapped within the film. For the job to be great afterward, you need to ensure the basecoat is dry enough to prevent trapping of the solvent inside. Use of the wrong reducer – leads to thinning of all subsequent paint coats. The clear coat layer is too thick – leads to much faster matting, particularly when the drying temperature is higher than usual. The above are some of the reasons why your car begins to matte after painting. While the solutions seem like more trouble than they are worth, it is not as difficult as it seems. How to remove paint from your car? How much does a Car Paint Job cost?